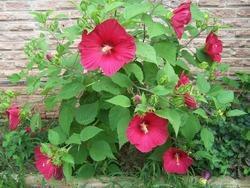 The hibiscus shrub has great cooling properties. Crushed petals of hibiscus, applied to the scalp in summer, prevent dandruff and lend lustre to the hair. We are suppliers of Hibiscus Soft Extract. We supply to various industries like hair products, dip tea, and export. Brand: AMBE NS AGRO PRODUCTS PVT. 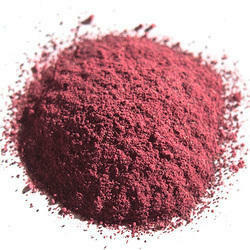 LTD.
We are a top notch supplier of Hibiscus Powder. We are amongst the most reputed names in the industry, offering Hibiscus Powder. Kai Mlm India, an ISO 9001:2008 certified company, has launched Ashwagandha Root Extract Drops in partnership with Hawaiian Herbals, Hawaii USA to support healthy cardiovascular system. It is 100% natural, HALAL & Kosher certified product and has been produced under international GMP regulations. Online mart an ISO 9001:2008 certified company, has launched Ashwagandha Root Extract Drops in partnership with Hawaiian Herbals, Hawaii USA to support healthy cardiovascular system. It is 100% natural, HALAL & Kosher certified product and has been produced under international GMP regulations. Keeping the diverse requirements of customers in mind, we are instrumental in providing Hibiscus Powder.